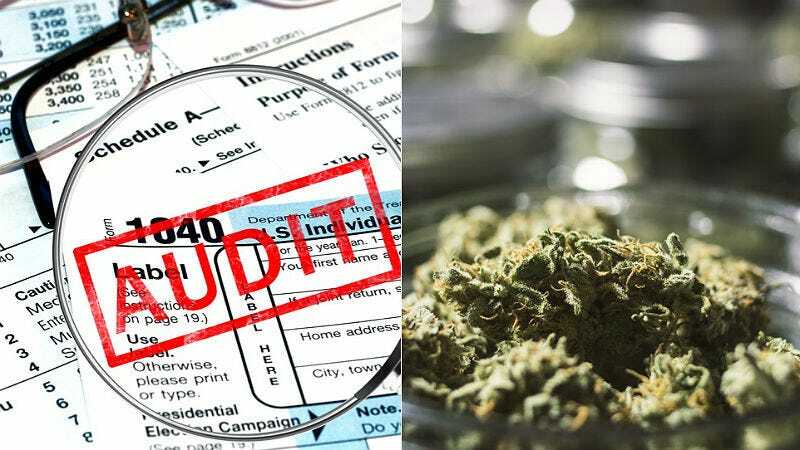 In Seattle, an IRS agent allegedly pressured a medical marijuana dispensary owner into paying off his student loans in return for going easy on an audit—and now that agent’s headed to court. Sallie Mae doesn’t care where the money comes from, right? In 2014, Paul G. Hurley audited Have a Heart Compassion Care, and, according to the Associated Press, told owner Ryan Kunkel that he owed the government $290,000—and also that Hurley had brought the bill down from $1 million. In exchange for his leniency, he suggested that Kunkel pay him $20,000. Kunkel was skeptical, but, fearing that his audit would be held up otherwise, he paid Hurley in cash. Then, after consulting his store’s security guard, he decided to consult a lawyer and tell the police he’d been swindled. After agreeing to participate in a sting operation for the U.S. Attorney’s office to catch Hurley in action, Kunkel met the IRS employee at Starbucks twice where he gave Hurley cash. Hurley was arrested after the second coffee date and quit the IRS a few days later. Hurley’s attorneys are arguing that wasn’t soliciting a bribe as much as doing some accounting services for Kunkel and that the government pressured Hurley to accept the cash. Everyone disagrees about whether the agreement was reached before or after the audit was submitted. If convicted of bribery, Hurley faces up to 15 years behind bars and a fine of $250,000. Jury selection in Hurley’s case kicks off on Monday.